Ask Anna: Casual Friday — Anna Akbari, Ph.D. It seems like tech companies are some of the best places on earth to work, right? With laundry services, fitness classes, rock climbing walls, gourmet lunches, and even corporate-subsidized massages, it sounds pretty compelling to stick around the office for a Google or Facebook employee. Casual Friday came out of the same tradition of tech companies offering progressive, yet laid-back policies for their workers. Way back in the nineties, Casual Friday was popularized during the dot-com bubble in Silicon Valley, known for its relaxed culture. However, its history goes back even further, if you count a tradition that didn’t technically catch on: Aloha Friday. Back in the 1940s in Honolulu, employers started participating in Aloha Friday, which meant employees were allowed to wear Hawaiian shirts instead of white-collar business attire on Fridays. It was a reprieve from stifling office dress codes and was intended to improve worker morale. The city of Honolulu encouraged it, because it was also beneficial for the Hawaiian garment industry. In 1992, Levi’s Jeans saw this confusing gap between casual and formal and decided to market their newly-acquired brand, Dockers, to fit into the business workweek. 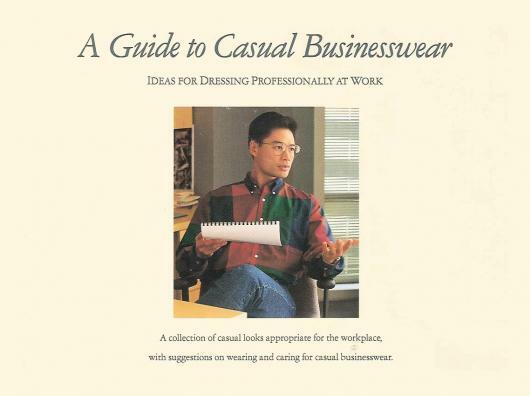 They printed a brochure, called “A Guide to Business Casual,” and sent it to thousands of HR managers around the United States. The looks featured button downs, loafers, and of course, Dockers pants. The clever guerilla marketing campaign caught on, and Dockers became a ubiquitous part of the Casual Friday uniform. So, Casual Friday: is it a good idea, and should you participate in it? Just like the many amenities offered by Silicon Valley giants, employers find that Casual Friday is a good way to keep productivity up by keeping workers engaged and happy at their workplace (and it’s easier on the company budget than a rock-climbing wall). Of course, many companies today are business casual every day. However, Casual Friday won’t improve worker morale – or your professional status – if it goes totally wrong. 1. Be aware of your office culture – your workplace guidelines and company-wide style of dress should inform exactly how formal (or laid back) your personal style can get. 2. When in doubt, take your style lead from the higher-ups in your office (and if you’re the boss, be mindful that you’re setting the visual tone for the company). 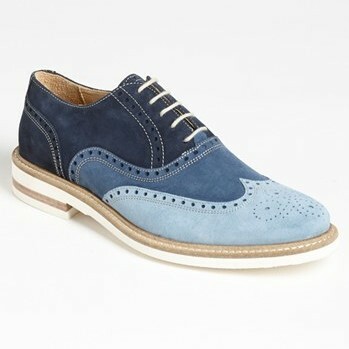 Thomas Dean Three Color Wingtip Sneakers can still be stylish. Try out a pair with suede accents or wingtip detailing. 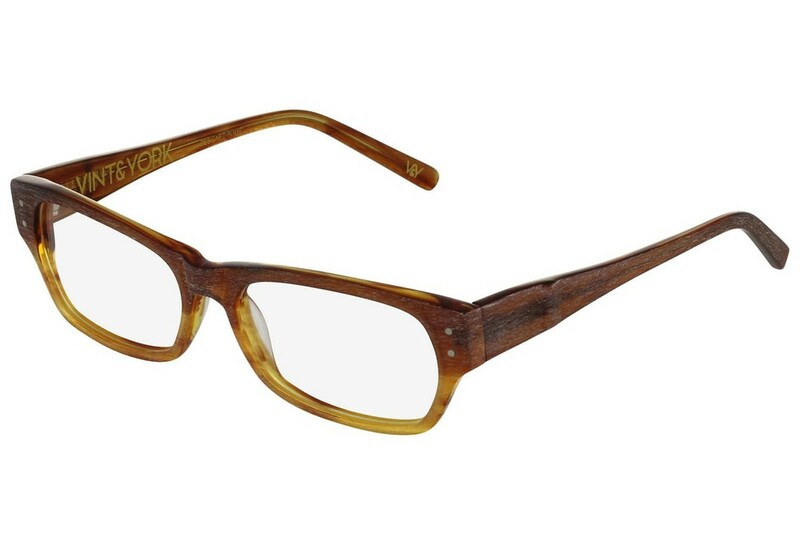 Vint and York Big Cheese Eyeglasses Switch up your usual frames for something more adventurous. J.Crew Waffle Cardigan Take off your jacket and try on a cardigan with a little texture and a lot of casual class. 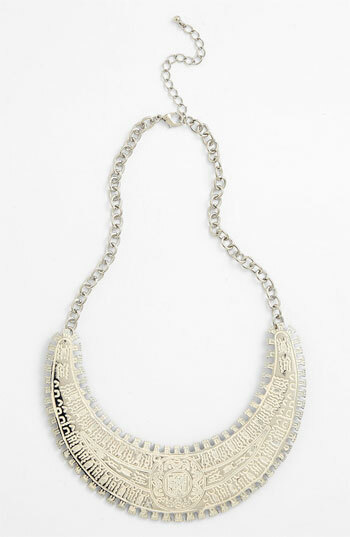 Robert Rose Sundance Collar Necklace Dress up a casual outfit and give it polish and definition with an out-of-the-ordinary piece of statement jewelry, like a bib necklace. Sam & Lavi Ipanema Blazer Want to channel a little Aloha Friday? Throw on a blazer that has a pattern or a pop of color. 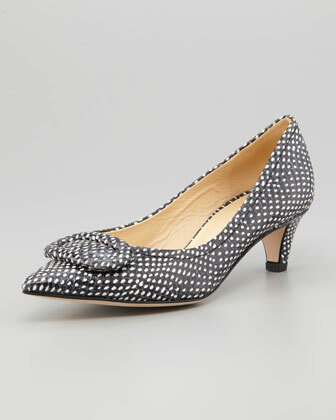 Kate Spade Simon Kitten Heel Pair your jeans with a kitten heel that packs as much panache as a pump.